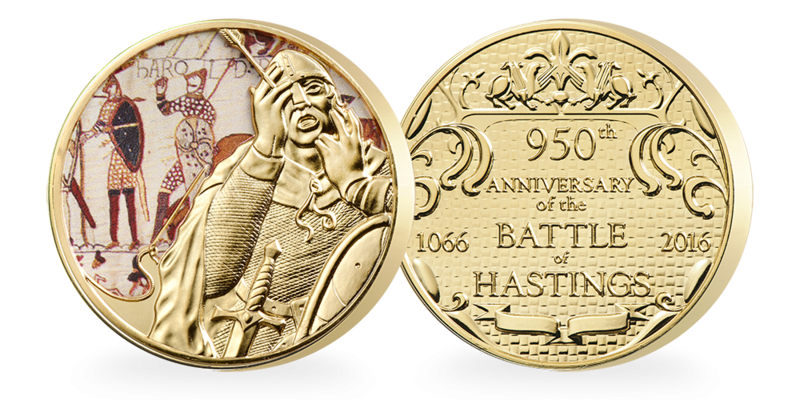 Commemorating the 950th Anniversary of the most recognisable date in British history – 1066. Few images from English history can be as evocative as the iconic scene from the Bayeux Tapestry showing Harold being struck in his eye by a Norman arrow. That moment is wonderfully depicted on the first medal in the collection, along with a stunningly engraved artists’ impression of Harold’s agony as he clutches his eye, his sword and shield tumbling to the ground. 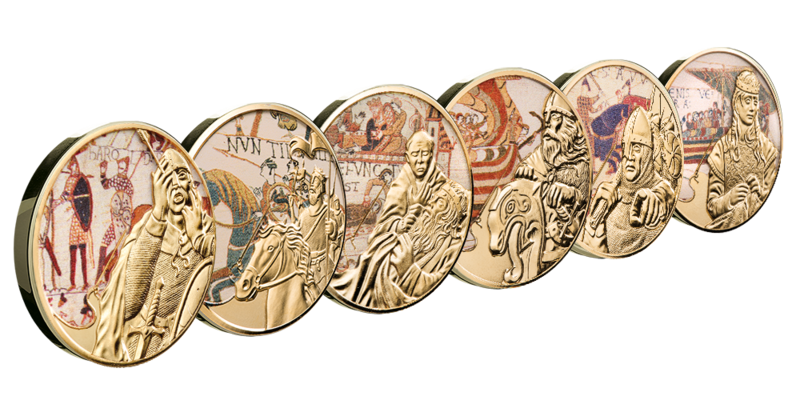 Detailed in full colour with the famous scenes from the Bayeux Tapestry, each medal is layered in 24k Gold with a full-colour depiction of a famous scene from the Bayeux Tapestry, brought to life in stunning relief. The five remaining medals in your set will be sent at monthly intervals, for the privileged price of only £24.95 (plus £2.95 postage) each (normally £29.95), saving you £35 across the collection! Each of the medals will be sent entirely on approval and without obligation. You may stop collecting at any time. Your medal is layered in 24k Gold with a full-colour depiction of the famous scene in the Bayeux Tapestry, brought to life in stunning relief.